I have rediscovered a product and just had to share it with you guys. Since the seasons have changed and the humidity is upon us, this is usually the time where I put away my super moisturizing face products. As I was pursuing my embarrassingly large stash, I came across a masque with the word "hydrating" in the title. 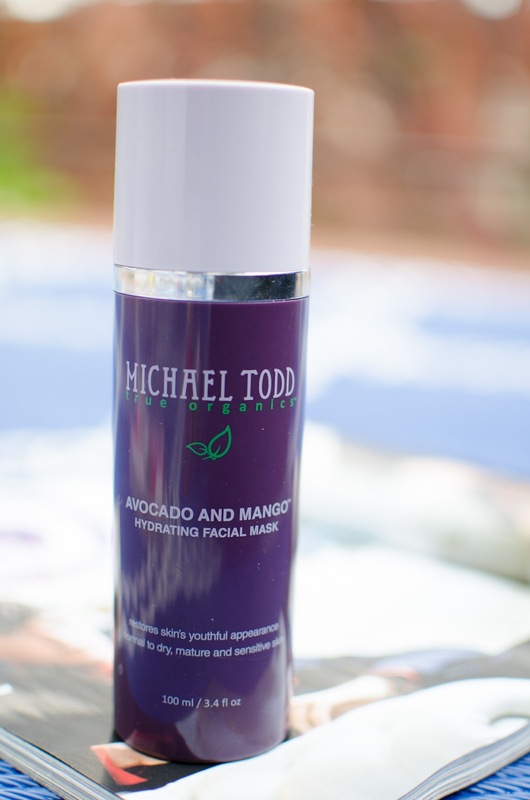 It is the Michael Todd True Organics Avocado and Mango Hydrating Face Masque. On my way to set it aside and say goodbye to it until the drought returns to my face, I decided to give it one last go. As I was wearing the masque I began to read the label and saw that it had Salicylic Acid in it. No need to be fearful, it is so far down on the ingredients list that it is perfect for even my sensitive skin. Usually when I use a clarifying masque I always like to follow it up with one that has hydrating properties, but this masque has both of those in one. After a few uses I noticed that the bumps that I get from clogged pores, had reduced and were no longer red and inflamed either. Not to quote Hannah Montana, but you truly get the best of both worlds. For those of us girls who need a bit more moisture but don't want to sacrifice the clarity of our skin, this is perfect for you. The smell is divine and is reminiscent of freshly cut mangos. The consistency is that of a thicker lotion, and is only to be left on for ten minutes. Immediately after rinsing it off I can feel that my skin is far softer than before! Face masks are one of my favorite ways to pamper myself, and taking twenty minutes a couple of times a week helps relax me and also improves my skin, its a win-win!